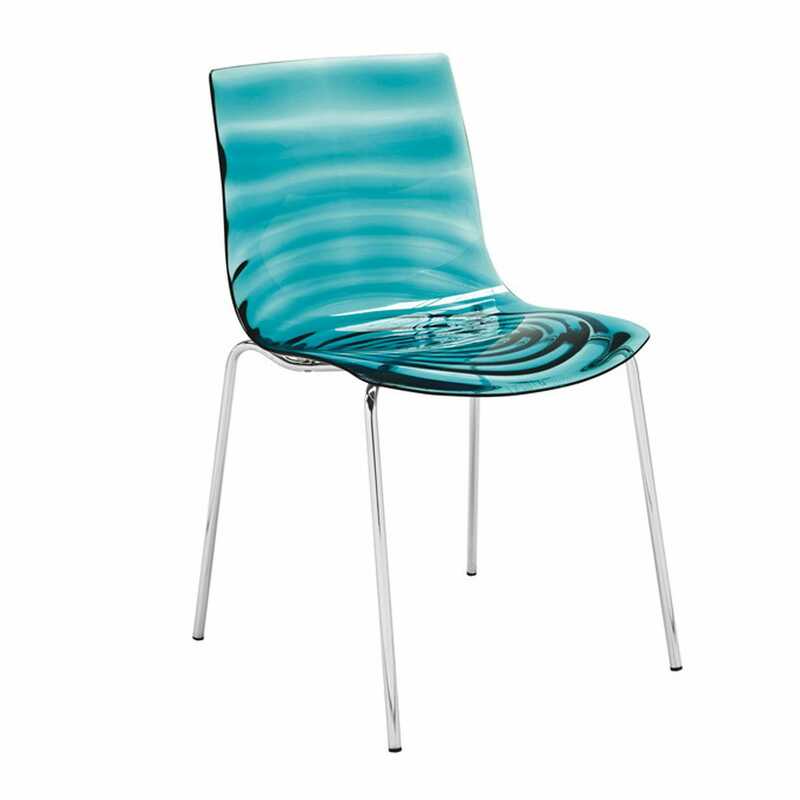 Taking its name from the concentric ripple effect of moulded acrylic, the L’Eau is a revitalising modern design. 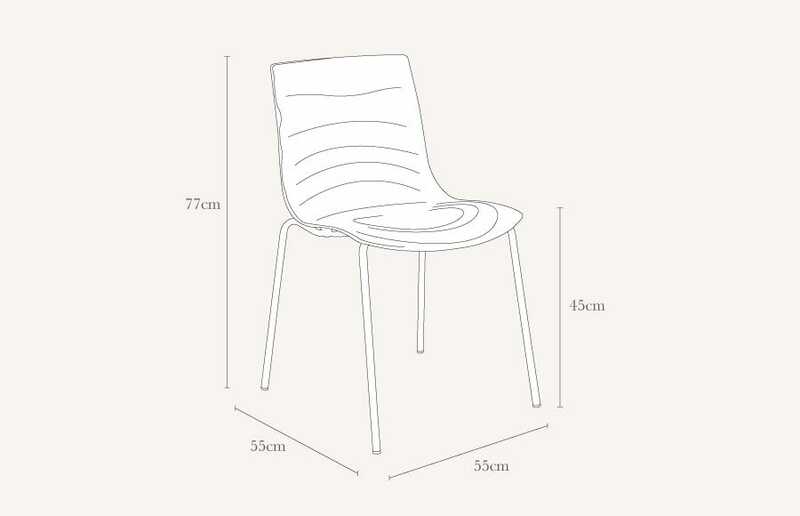 Smooth along its seat with a wavy texture on the back, this fascinating shell sits on a polished frame of bent tubular steel. Style of chair slightly changed since buying originals - extra strengthening added - we are probably not the only ones to have one break - maybe we should have returned it instead of buying a new one?